Jake Gyllenhaal takes post as the new villain in the Marvel Cinematic Universe, playing one of Spider-Man's signature villains, the genius known as Mysterio. Even so, the biggest reveal of the trailer is that of Jake Gyllenhaal's Quentin Beck/Mysterio, who, according to certain folks who saw the trailer at Brazil's CCXP, is actually not the movie's main villain. So, as you can see, they've kinda let the cat out of the bag here: Spider-Man's back, and so's Nick Fury. "Spider-Man: Far From Home" arrives in theaters on July 5. Meanwhile, in the Avengers: Endgame trailer, Scott Lang is seen showing up at the Avengers facility in "archive" footage. As Homecoming ends, we see aunt May finding out about Peter's secret identity - in FFH, we see she has taken the news rather well, so well that she insists Peter take along his Spiderman suit to his Europe vacation. Enter The Spiderverse and the Playstation 4 Spider-Man game both released previous year, it's a pretty great time to be a fan of the friendly neighborhood webswinger. The first thing that many fans noticed is the absence of Peter's mentor Tony Stark (Robert Downey Jr.). We also know for sure that Samuel L. Jackson (Captain Marvel) is onboard as Nick Fury, which means that the rumor that Cobie Smulders has also signed on to join the Spidey sequel as Maria Hill is likely true as well. The villain can create illusions and gadgets that can take on many of Spider-Man's abilities easily. But who gave it to Peter? 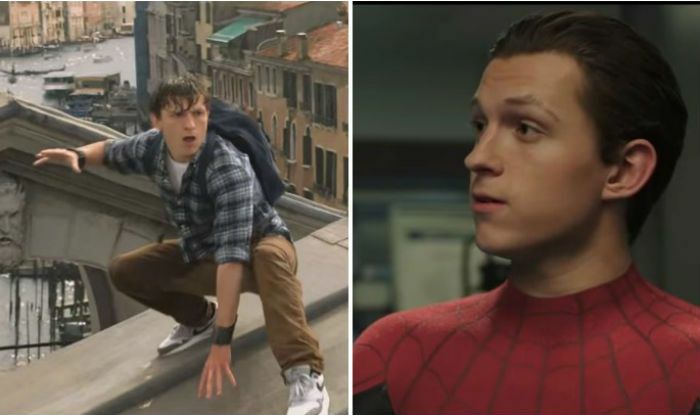 Tom Holland is closest to the comic book Spider-Man than any of the other previous actors. While many fans are still trying to understand the chronology of events in the MCU, Far From Home's plot is surely giving no clues about Avengers: Endgame. However, it's an aspect all of us here considered, because Numan Acar is supposed to be playing Chameleon in Far From Home? The trailer also featured a number of returning characters from Spider-Man: Homecoming.